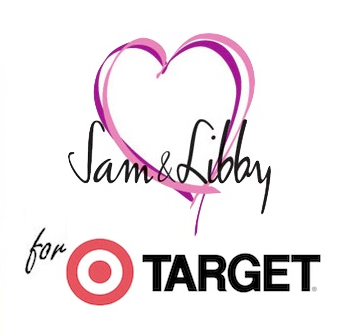 I was excited, when I popped into Target over the weekend, to see the new Sam & Libby for Target shoe collection. I have a number of Sam & Libby shoes from ages ago and they are always cute. This collection is reasonably priced and had a variety of styles from sandals to wedges to loafers. I especially liked the ballet flats. 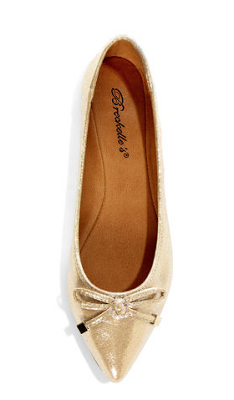 The loafers are great with jeans and the cap-toe ballet flats are pefect with shorts and dresses and skirts. I got the black/creme pair and the taupe/neon yellow pair. 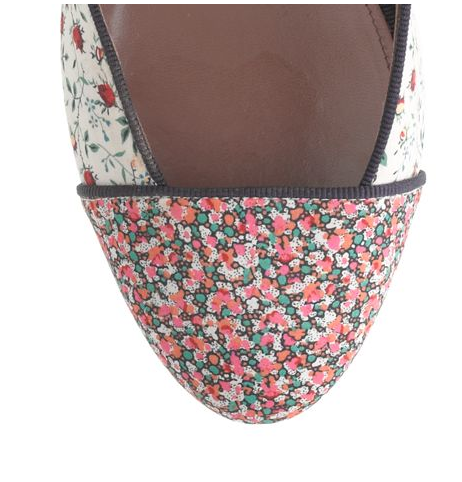 I think the flats are the best designs in the collections and they look fancier than their price, so snap a few up! I am so excited to be wearing my Spring/Summer dresses. I'm sure I'll be complaining about the heat soon, but as of right now, the weather was balmy and the sun was bright. I paired my ModCloth Graceful Greenery dress with a lavender cardigan and for shoes, I wore it with chartreuse Manolo Blahnik Sedarabys (for work) and then lupine Converse Chucks (for play). I hope you had a great holiday as well! 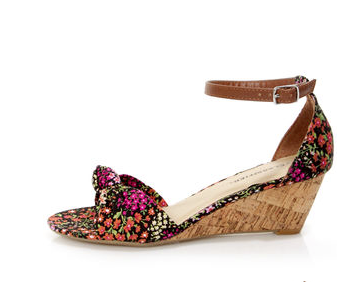 If I was on the look out for fun Summer shoes that were not going to break the bank, I'd head over to LuLu's. 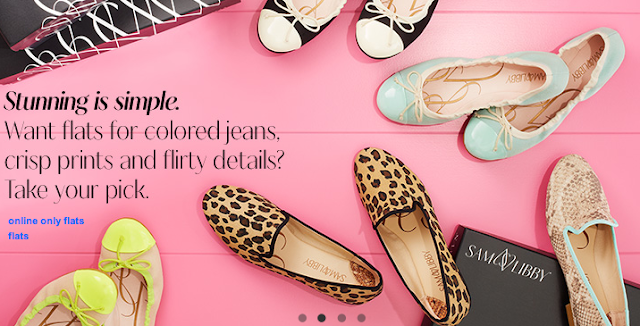 Their site is filled with inexpensive but cute options, including a number for sweet shoes. Some are knockoff designs, to be sure but I think these options are cute in their own right. Lots of fun with styles and colors. 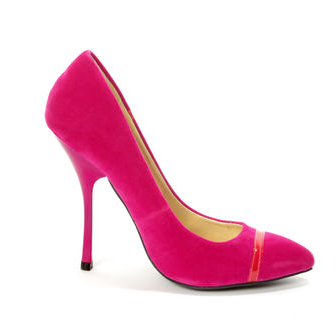 Of course, you need to ensure they are comfortable and review the materials, but I like that you can find some adorable shoes at a great price. Who is excited to see the new Tabitha Simmons for JCrew collection?!?! 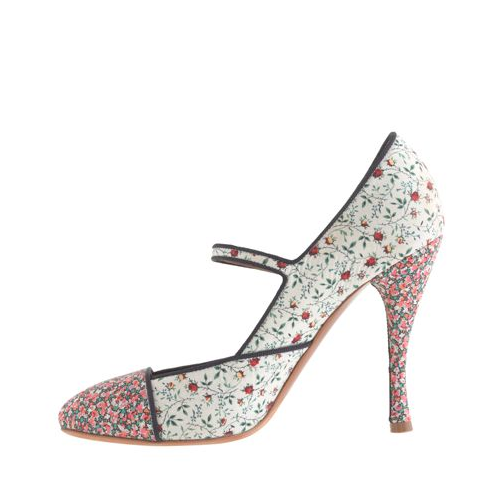 She has a number of cute summer styles but I was most excited to see my favorite heeled mary jane design that she does (typically in silk and $1250). 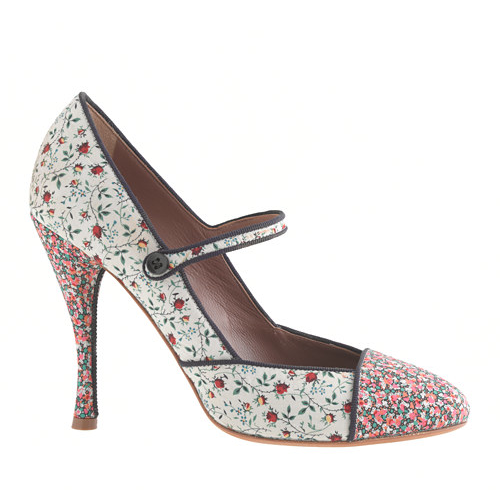 And in adorable summery floral patterns too. JCrew is really hitting the florals with their collaborations this year. I love it. They're a bit simpler than her typical patchwork, but these are so light and fun and sweet. Yes, run right out and get them! 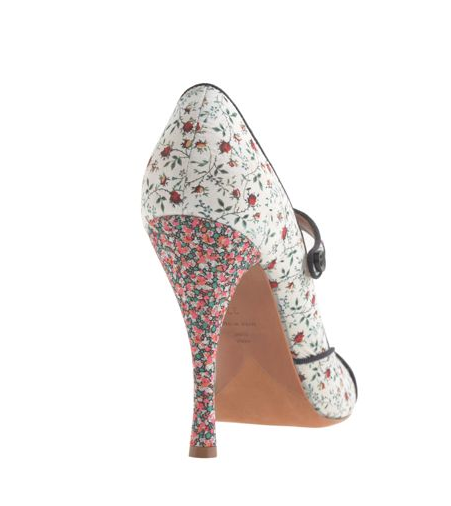 One of my favorite heel designs from Spring 2013 was the Dior metal strap pump. 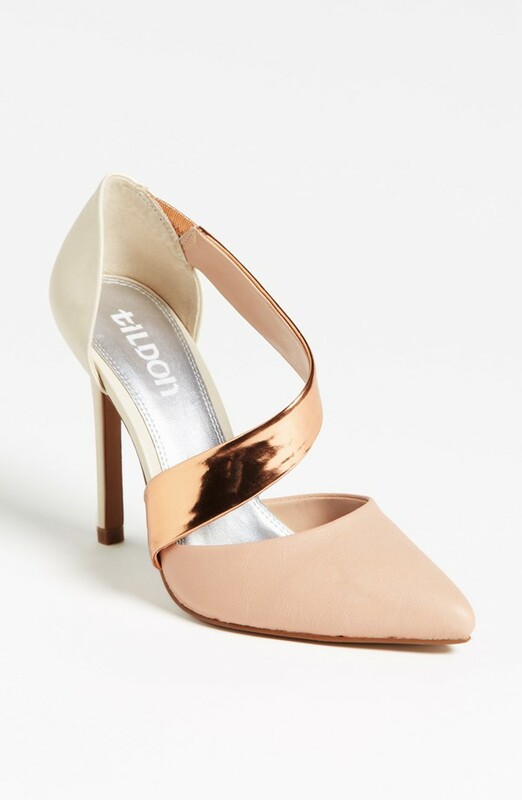 I thought the heel was great, the colors were perfect for Spring and the use of the bold metal strap toughened up and modernized what could have been a bit simple and girly. 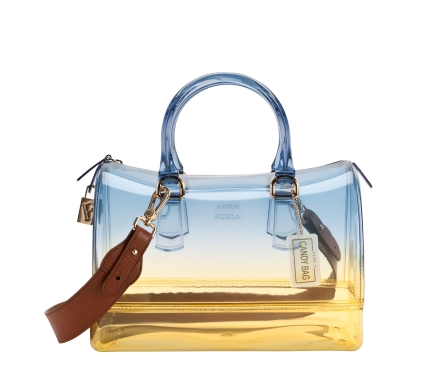 Yet it still keeps the feminine look that pairs well with the dresses and skirts of the season. I guess that why I should not be surprised that there is already a knock-off in stores, specifically the Tildon Megan pump. 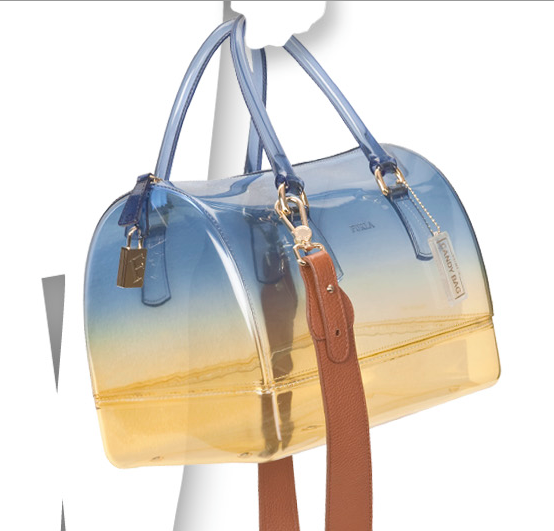 The lines are not nearly as good and the way the metal strap is done looks cheap. I didn't buy the Diors, although I wish I could have, but I certainly would not consider the Tildon's. they took a beautiful, graceful design and dumbed it down to the point where it is pointless. 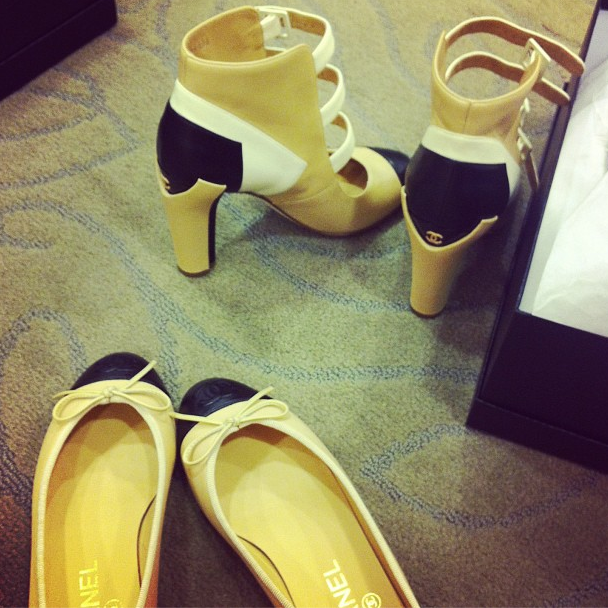 I have been smitten for months with these multi-strap mary janes from Chanel. They combine the best of the classic black and tan combination with a really modern style. Seeing them in person was even better. Sadly, they looked great on. I don't need it but I had to stop to admire it. 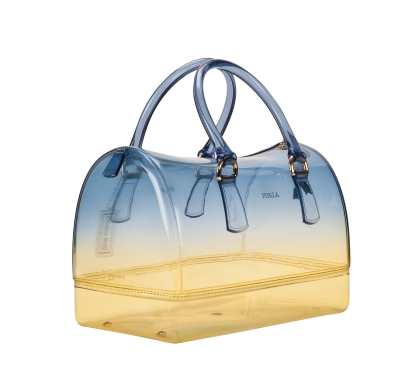 The Furla "Sunset" Candy bag is a thing of beauty. I would lose the distracting brown strap because it is just marring the perfection of the color execution. It must be lovely to walk around with the evening sky on your arm.